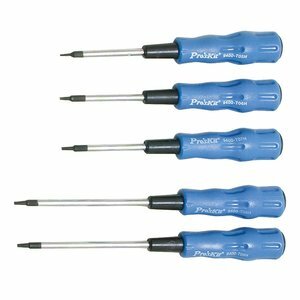 Pro'sKit SW-2125 is a Torx screwdriver set. Tamper-proof holes are provided for screws such as torx screws with a projection in the screw head. These screws are used in cases where tampering could be a problem. Select the size for working with mobile telephones, communications equipment, radios and precision equipment.